Enjoy the comforts of easy travel while you stay in Abilene. Discover Abilene, Texas and all it has to offer while staying at our 100 percent smoke free hotel, the Americas Best Value Inn and Suites Abilene Mall. Ideally situated only a few miles from McMurry University and downtown Abilene, our hotel is conveniently located off Highway 83 on South Danville Drive. 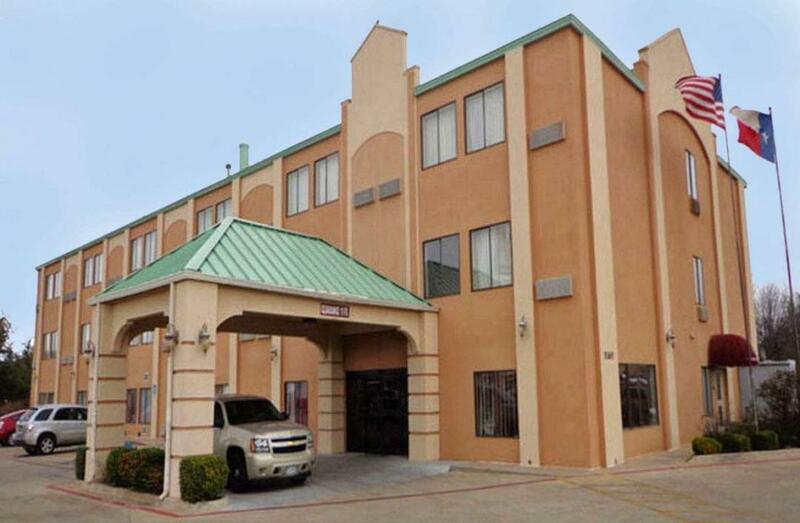 Americas Best Value Inn and Suites Abilene Mall is your best choice within west-central Texas. We offer ideal accommodations and location whether you are in town for entertainment, music and food festivals, sightseeing, wildlife activities or simply passing through on your way to Fort Worth or Austin. At Americas Best Value Inn and Suites Abilene Mall our goal is to provide our guests a great experience, not just a place to stay. At Americas Best Value Inn and Suites Abilene Mall, We've Got You Covered from the time you hit the road until your head hits the pillow. Enjoy free daily continental breakfast and coffee in lobby. Miguel's Mex Tex Cafe, 0.2 mi. Rosa's Cafe & Tortilla Factory, 0.4 mi. The Flipping Egg, 1 mi. Tokyo Asia Fusion, 3 mi. Check out these Abilene attractions during your stay. Park Central 6, 0.2 mi. Shops at Abilene, 0.5 mi. Power Shack Gym, 1.2 mi. Mall of Abilene, 1.4 mi. Red Bud Park, 1.4 mi. Absolute Perfection Day Spa, 1.6 mi. Oriental Star Massage, 1.8 mi. Cinemark Century 12 Abilene, 2 mi. Wildflower Day Spa, 2.2 mi. Serenity Massage Therapy, 2.2 mi. Abilene Country Club, 2.5 mi. Healthy Skin Day Spa, 4.2 mi. Westgate Town Center, 4.4 mi. Kirby Softball Fields, 4.6 mi. Family Life Center, 5.1 mi. Town & Country Drive-In Theatre, 5.7 mi. Abilene Bowling Lanes, 5.8 mi. The Honey Hole Phantom Hill, 19.8 mi. Abilene Gymnastics Sport Center, 2.8 mi. Prime Time Sports, 4.2 mi. Play Faire Park, 4.3 mi. Putt-Putt Fun Center, 4.8 mi. 12th Armored Division Memorial Museum, 5.1 mi. The Grace Museum, 5.2 mi. Abilene Zoological Park, 7.1 mi. Jacob's Dream Sculpture, 8 mi. Fort Phantom Hill, 21.1 mi.